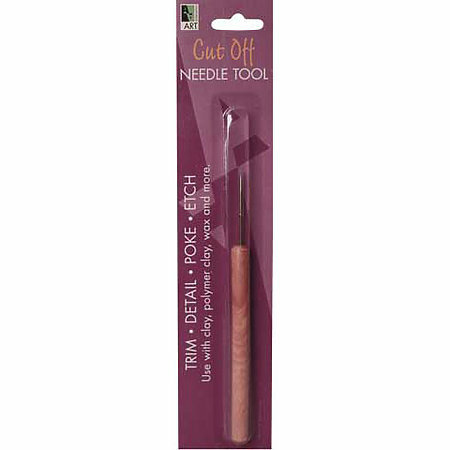 The Cut Off Needle Tool has a thin 1-3/4" stainless steel needle set in an easy to grip hardwood handle. Use it to remove the uneven top edge of thrown clay items and make a clean smooth cut. It can also be used to trim, poke and etch fine designs in clay, or to make holes, marks and impressions in beads, buttons and paper.